Don't get boxed-in this gift-giving season. 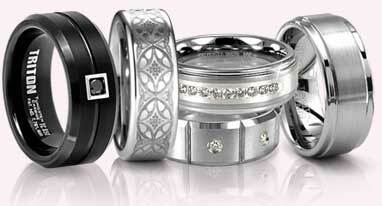 Spoil loved ones with stunning jewelry from our fantastic selection. 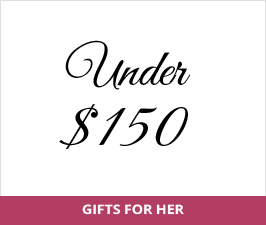 Whether you're shopping for gifts under $150 or want to splurge on something a bit more pricy, our selection includes the perfect pick for your budget and gift-giving goals. We have excellent gifts for him and her to help you find the perfect present for all occasions. Check out our Staff Favorites for hand-picked suggestions from the Titanium Jewelry team.Click to Read More. Gifts for Her and Gifts for Him. In modern materials and exciting designs. Cutting edge fashion. 30 day returns. Although we specialize in sleek tungsten and titanium jewelry, we also offer plenty of cool men's gifts for guys who aren't big on jewelry. He'll love one of our Damascus steel knives by SantaFe with intricate handle designs. If you want to score major brownie points with the Mrs., select from our variety of gorgeous gifts for her. All of our brilliant gifts are in stock and ready to ship, so you get quick shipping as soon as you place your order.